If you know me, you know that I love essential oils!! I started using them in 2013 when my daughter had a cold. I saw some info on the Breathe respiratory blend, bought some and haven't stopped using essential oils since!! I have learned so much and now use essential oils every day!! An essential oil is the volatile compound of a plant. All plants have tiny little sacs on them that contain the essential oil. Try this, grab some fresh herbs or flowers and smell them. Now rub the plant between your fingers and smell again. Notice how much stronger the smell is? That's because you broke some of those tiny sacs and are smelling the essential oils! 'Volatile' means that it evaporates. Essential oils have long been used for their emotional and physical wellness benefits. 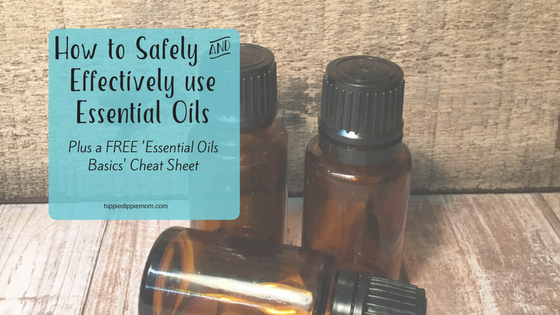 We'll talk about some easy ways to use essential oils! This is the easiest way to use essential oils, and it's the perfect way to start if you're a beginner. I use this diffuser (I have three in my house!). Each diffuser is different, so read the manual on the one you purchase; however, most need water (read the manual for the right type of water and amount) and then just add 2-3 drops of essential oil. That's it! Diffusing has aromatherapy benefits, helps to purify the air and you inhale a small amount. You can diffuse Wild Orange or Citrus Bliss for an energizing/uplifting effect, On Guard during cold/flu season to help reduce environmental threats, Lavendar or Serenity for a calming effect, and so many more! Applying essential oils topically is easy and is very physically beneficial. Some oils can be applied "neat" or undiluted, some oils should be diluted if you're applying them to sensitive skin and some definitely need to be diluted. Essential oils that ALWAYS need to be diluted are oregano, cinnamon, cassia, birch, clove, eucalyptus, ginger, lemongrass, peppermint, thyme and wintergreen. When diluting an essential oil, use a carrier oil (ie. fractionated coconut oil, almond oil, jojoba oil, etc). Carrier oils 'carry' the essential oil to the skin and are the base oil used to dilute essential oils. Great choices for carrier oils are Fractionated Coconut Oil, Almond Oil, Jojoba Oil, and Coconut Oil. Recommended dilution ratios are: Babies 0.3% dilution (1 drop of essential oils in 1 tablespoon of a carrier oil, Children 1.0% dilution (1 drop of essential oil to 1 teaspoon of carrier oil), Adults 2-4.0% dilution (3-6 drops of essential oil to 1 teaspoon of carrier oil). All essential oils can be mixed with a carrier oil, and they're just as beneficial as undiluted. The most popular places to places essential oils topically are the bottom of the feet, chest, and along the spine. Make sure to rub them in all the way because they are volatile compounds and will evaporate if not rubbed in. Adults metabolize essential oils in 3-4 hours and children metabolize them in 2-3 hours. When you have an acute issue going on (ie diarrhea, nausea, runny nose), apply oils every 2-4 hours! When you're not experiencing any unwanted symptoms, you can apply as often as you'd like. CAUTION: Avoid applying essential oils in eyes, ear canals, or other sensitive areas of the body. If essential oils enter the eye, place a drop of carrier oil (ie. Fractionated coconut oil or almond oil) in the eye and blink until clear. Some essential oils are considered photosensitive so be careful when going in direct sunlight or other sources of UV rays. Photosensitive oils are bergamot, grapefruit, lemon, lime, and wild orange (least photosensitive). This is a hot topic! I say - do what you're comfortable with BUT you also have to make sure that the essential oils you're using are proven to be pure. 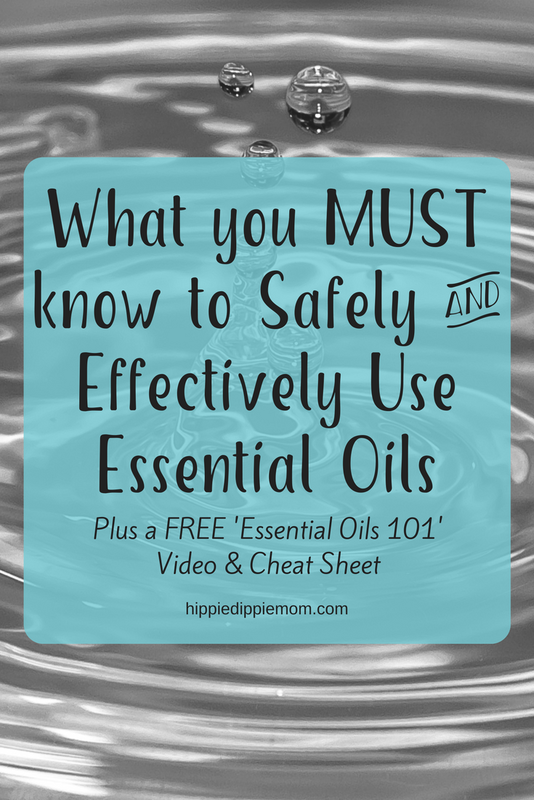 Here's a great article by Dr. Hill discussing the safety of using essential oils internally. You can put 2-3 drops in an empty veggie capsule. You can also add essential oils to water (or make a cocktail :); lemon is amazing in your water. It's actually a great habit to drink warm water with lemon essential oil and some Himalayan pink salt in it first thing upon waking. This combo helps to hydrate you and get your kidneys and liver going! You can cook with essential oils too! 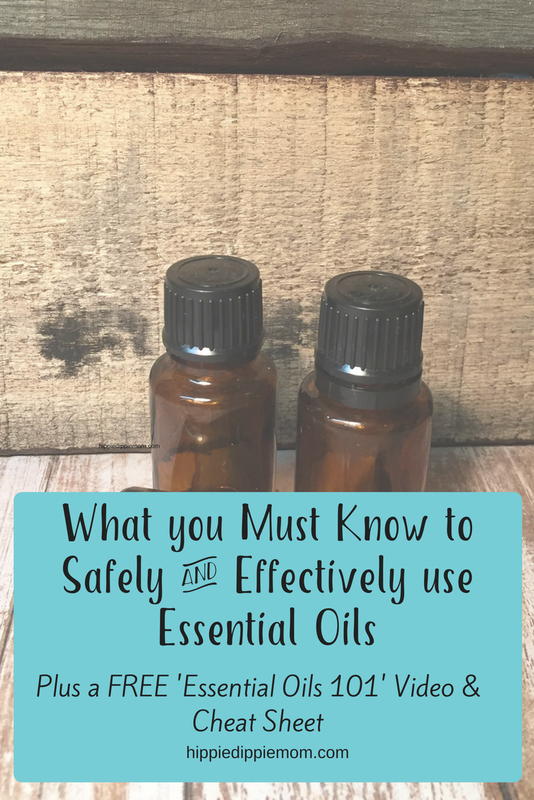 The #1 thing to know before using EO's. Because there is no regulation on labeling of essential oils, all companies can claim that their oils are pure - even if they aren't! Most essential oils on the market are mixed with fillers, preservatives or are just straight synthetic fragrance! You HAVE TO do research! The company that you choose to buy essential oils from MUST do third party testing, and they must be able to show you the results. The company I use performs up to 8 different third party tests. They test for things like heavy metals, pesticides, synthetic fragrance and more. They've also developed a website where I'm able to enter the lot # on my bottle and they will show me exactly what test was done. So awesome! I made a video, 'Essential Oils 101', to go over some basic essential oil info more in depth, give you easy ways to use the three most popular oils, and I share what company I use. Sharing is caring. Pin your fave image below!